Let onyx stone take the lead! Perfect stone to help you focus on all the things that matter, help you take quick fast decisions whenever you need them! Together with Hamsa, they will create a perfect team to back you up in any moments you might need! 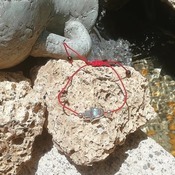 The bracelet will come to you purified and charged with good positive energy thru a Reiki technique! Feel free to wear it or make it a gift to someone you care for! 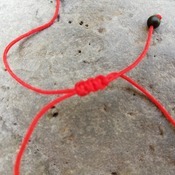 Please choose carefully the size for your talisman bracelet and order the one that is right for you! If you can't find your right size on the page to order then order any size appropriate and tell us when we contact you for the confirmation of your order what would be the desired correct size for you! 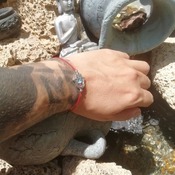 HOW TO CHOOSE THE RIGHT BRACELET SIZE? Measure the wrist circumference with an inch of tailoring. The correct size is the place where the metal part of the centimeter merges with the other side. If you notice that you are between sizes, we advise you to order the smaller size. 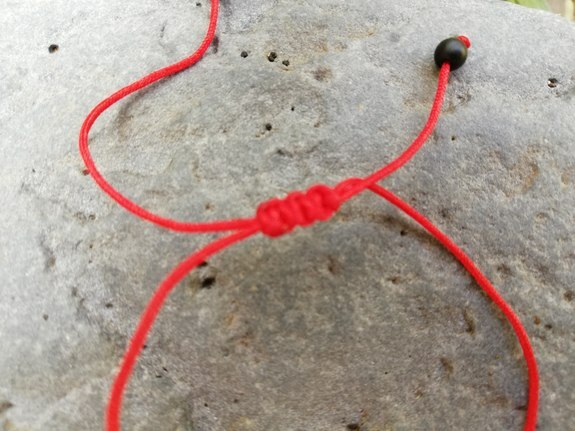 The bracelets are adjustable in the sense that if you miss 0.5 cm, the bracelet can be widened, but if you buy a larger size, it will not be possible to make it smaller so you will have it larger from start. 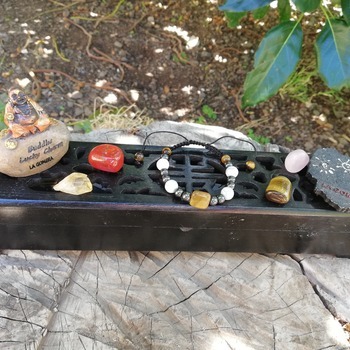 When you will receive this talisman and you will first put it on your hand, please think intensely of your desire, visualize in your mind exactly what you want - a better life, a better job and better payment, mental health or physical, a better relationship, a partner to love you, a quieter or calmer life, less stress, relaxation, protection from any harm. 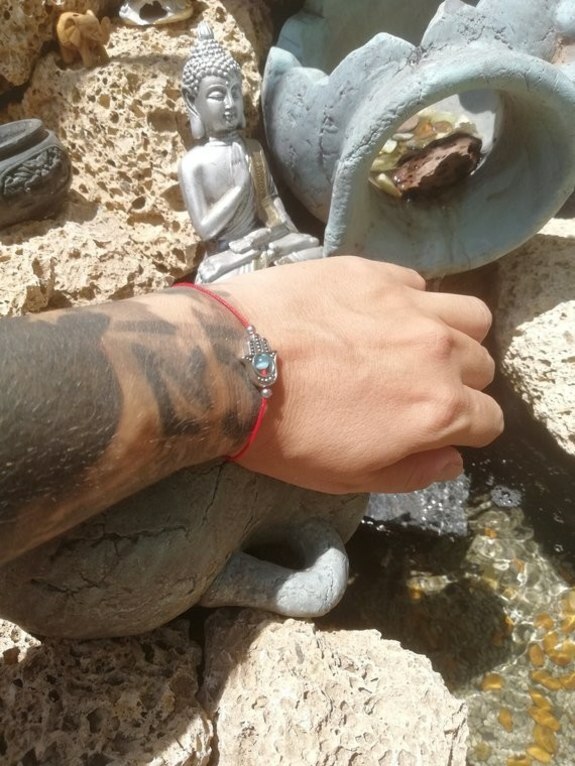 Whatever your wish, please think about it when you put your bracelet at your hand for the first time, and after you visualize the desire in your mind, you simply see your desire fulfilled. 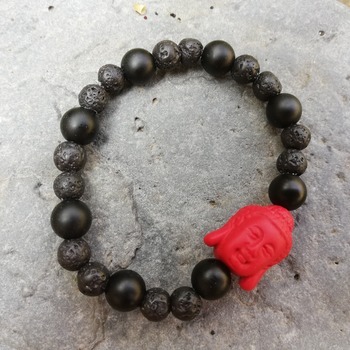 You see that you have achieved the purpose for which you bought the bracelet, see how your life will look when your desire has been fulfilled. We do not recommend wearing the bracelet in the shower or during the swim. 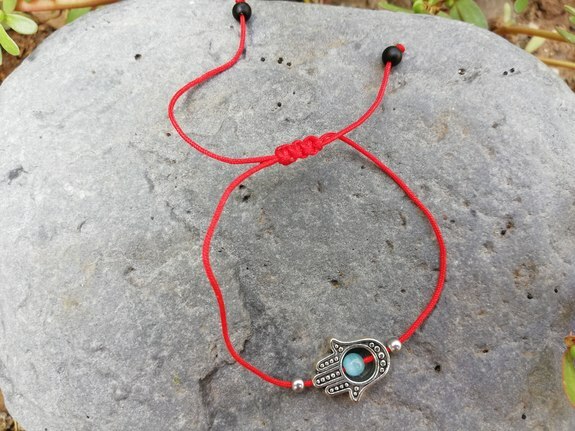 Hamsa is a well-known symbol of protection against negative energies, being recognized as a sacred symbol in many cultures and religions, including Judaism, Buddhism, Shamanism, Hinduism, Christianity, Jainism, and Islamic belief. 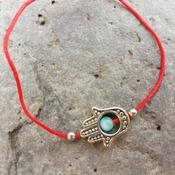 Hamsa is the symbol of "the hand that writes everything" and of associations with the Divinity. Fatima's hand can be seen both upright and upside down, depending on the crop. In addition, the handwritten symbols are important and vary depending on religion or location. Despite the variations, Fatima's Hand is an archetypal motive that speaks across the borders of the earth's languages, culture and religious beliefs, which brings the bearer protection, fortune, happiness, health, and abundance. 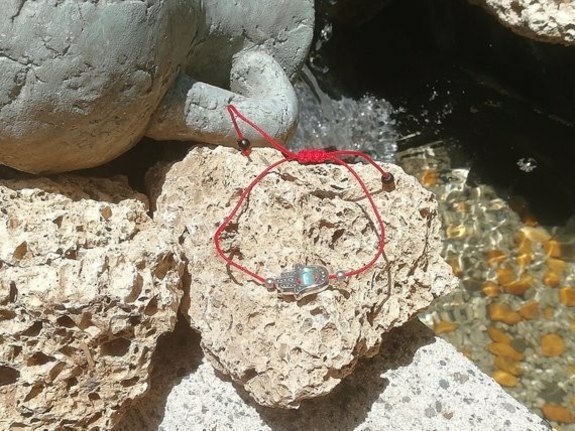 Hamsa bracelets are worn all over the world by people who have faith in "supreme power" and are at a crossroads in life. 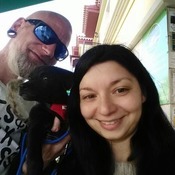 They may have different religions, some may be Jews, other Muslims, followers of Christianity or Buddhism. Regardless of religious beliefs, they are on a common ground in their belief in a Supreme Power. The symbol of the talisman's hand precedes Judaism, Christianity, and Islam. Islamists attribute it to Fatima, naming it after Mohamed's daughter - Fatima Zahra. Christians attribute it to the Virgin Mary and the Jews of Miriam, in memory of the sister of Moses and Aaron. The Hand (Khamsa or Hamsa) is represented in particular by the open right hand and was one of the most common components of gold and silver jewelry, considered to be a historically traditional jewel. Hamsa was most frequently carved in stone, silver, gold or metal because of its negligible symbolism: purity and magical properties. Painted red on the doors of the houses symbolize the slaughter of animals - sometimes the symbol is painted even with the blood of the slaughtered animals. Fatima's hand hung over the door of the woman's room of birth, to give birth to the baby, and the baby to be lucky, but also above the entrance door to protect the house of fire. It is said that the hand of Fatima with the fingers unfolded drives the spirits of evil, and the one with his fingers brings the luck. 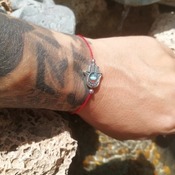 Often within the hand of Fatima is inserted an eye symbolizing the person's protection against evil eye and negative energies, which has the role of "blind" the aggressor. The rituals specific to Hamsa are made on the fifth day of the week - Thursday - considering that its powers are then at its full potential. 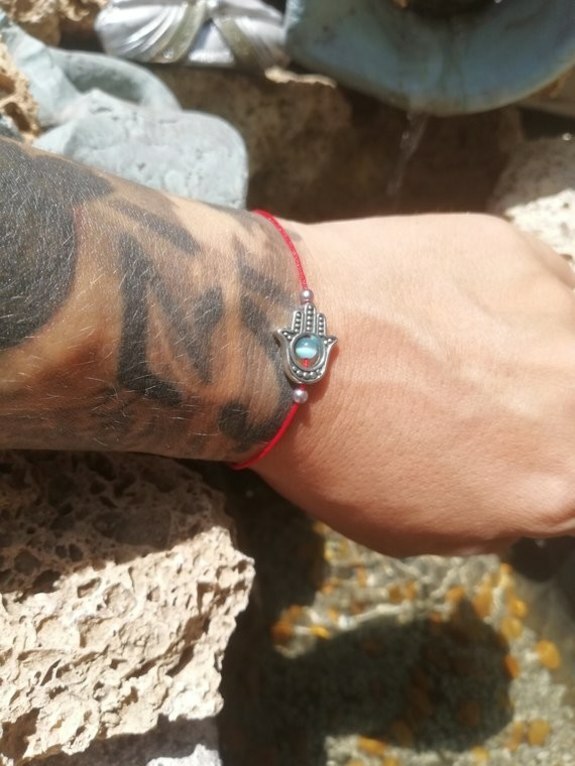 Hamsa is a well-known symbol of protection against negative energies, which brings abundance, fertility, prosperity, luck, and health to the wearer. 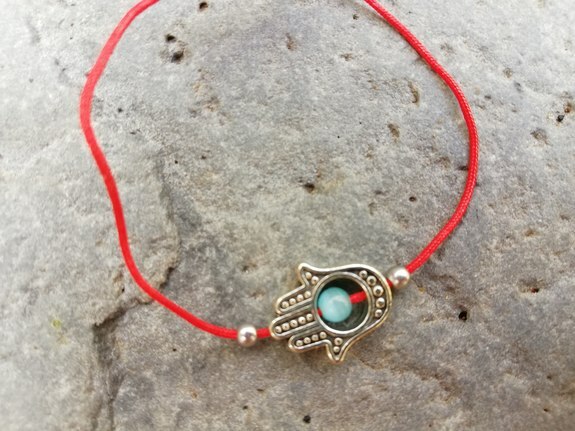 Hamsa is recognized as a sacred symbol in many cultures and religions, including Judaism, Buddhism, Shamanism, Hinduism, Christianity, Jainism, and Islamic faith. Those who carry Hamsa somehow depend on this energy to keep themselves protected from the negative influences that are beyond their control. Hamsa, the protection against evil eye, is considered to be a powerful talisman - used as a jewel, lucky amulet or wall decoration - that brings luck and prosperity to the house. 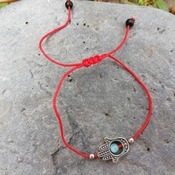 Hamsa bearer will enjoy abundance, luck, vitality, be favored by stars and the beneficial energies of the universe. 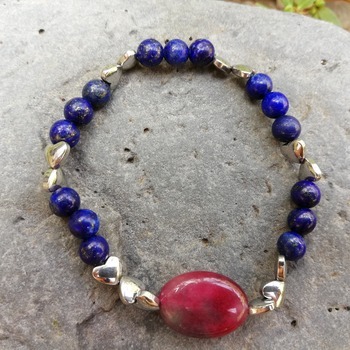 This Talisman is considered to be the luckiest of all that is known and is advisable to be worn as a bracelet. Fatima's hand has a particularly strong effect on the bearer, especially when he is at a crossroads in his life. Fatima's hand will shelter the bearer of obstacles, quarrels, and adversity, helping him to change his destiny in a positive sense. Despite the variations, Fatima's Hand is an archetypal motive that speaks across the borders of the earth's languages, culture, and religious beliefs, which brings the bearer protection, luck, happiness, health, and abundance. 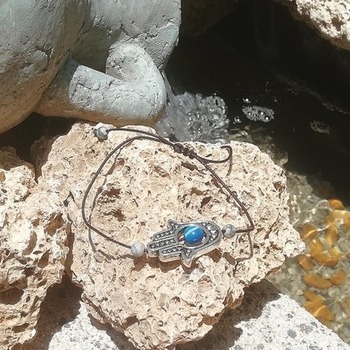 Today Hamsa is a popular symbol of protection in both Western cultures in the Middle East and can be found incorporated in jewelry, wall hangings, key rings and other decorative household items. 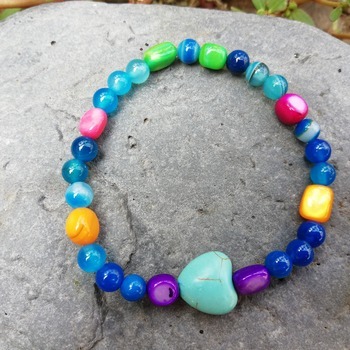 For many cultures it is no longer just a talisman, becoming a symbol of hope and peace in the world.